Does anyone in this match is favorite? Obviously Faze, they aren't a tier 10000000000 team, just a tier 10 team. You're right, they are actually tier 1000000000000000, not tier 10000000000. What you mean? Mibr won major 1 year ago? and C9 won a major 1 year and 2 months ago where are they now? who will choose side first? Or on adrenaline knife round? MIBR is training hard on Nuke. Probably will win this against FaZe. Maybe a 16-10. Before pick a map, you train a lot on it, dumboy. Did you see the vetoes from BLAST? Go to my topic and look the vetoes between MIBR x ENCE and MIBR x Liquid. hltv.org/forums/threads/2011508/mibr-nuk.. MIBR only vetoed Nuke against NiP and Astralis (they are in transition to play the map). gl... not enough time to play it IMO. also not very suitable for players like fer, felps and fallen. good for coldzera and TACO tho. "not enough time to play it" OBVIOUSLY, and that´s why I said they are training hard on it. Not thinking exactly on Blast, but until next Major, maybe. Or even, at least to ban Inferno or Cache instead of Nuke, depending of the rival. 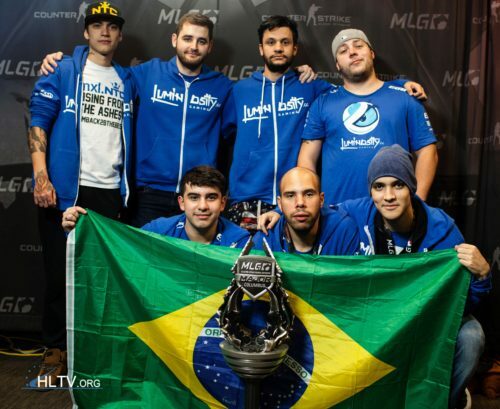 About fer, felps and fallen, I´m not sure like you. I prefer to wait. They are experient players and have an experient coach who knows a lot the map. So, if they are training on it and let the map against 3 of 5 teams on BLAST, they really has faith on this map.